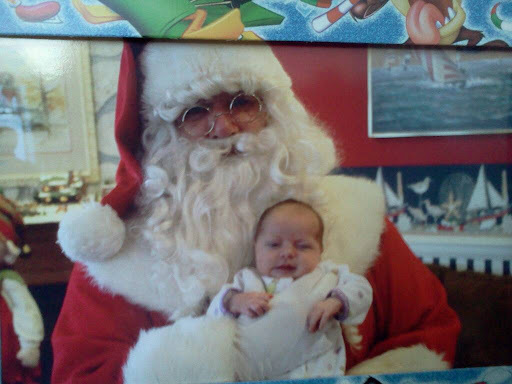 Olivia took her first pictures with Santa today. 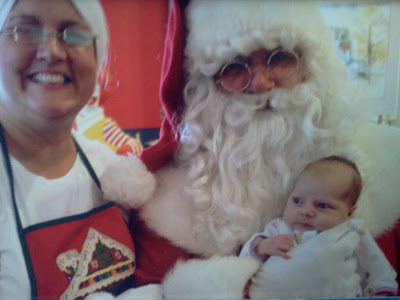 As you can see, she was not very impressed. I am working on keeping her up during the day because her night and days are all messed up and at least one of us has to function so adjustments must be made. I think she looks like she is winking in the last picture because she knows what Santa is going to bring her.. a very successful second surgery. We are New Orleans bound! Will someone listen to me?